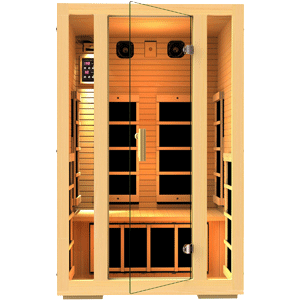 The Radiant Saunas Rejuvenator is a top-rated portable infrared sauna. For many of us having a standard, full-sized sauna in our homes is simply not realistic. 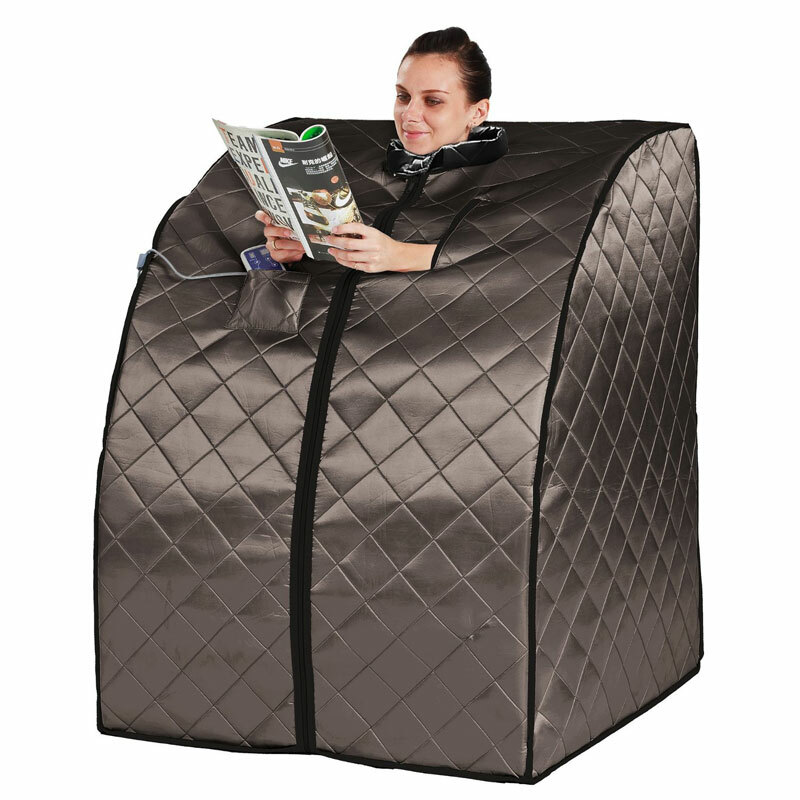 Fortunately, there are many portable infrared sauna models that allow nearly anyone to have a home sauna. So how do they work? 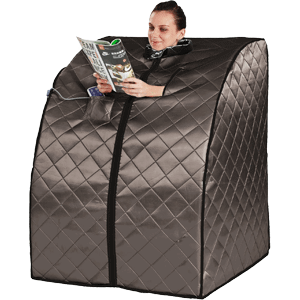 While there are various designs, many portable infrared saunas feature a zippered foldable sauna tent and a heating mechanism. These models are very easy to use and require minimal setup. Basically you need to fold out the frame, put a chair in the center of the tent, plug the sauna in, set the heat, and zip the tent closed to enjoy a good sweat. These models are also easy to store when not in use, and can be folded down to small sizes and put away at will. For those who don’t find that a home infrared sauna is right for them, another option lies in portable home steam saunas. Below we’ve put together a list of some of the top portable home sauna models. The first part of the list features portable infrared sauna models and the second half of the list features portable home steam saunas. After considering the options in the summary list, continue reading for details on a few of the top portable infrared saunas. Hopefully the comparison table above is useful in getting a quick sense of the variety of portable infrared sauna options that are available at different price ranges. Below we’ll highlight a few different types of models and go into more detail about what makes them popular choices. 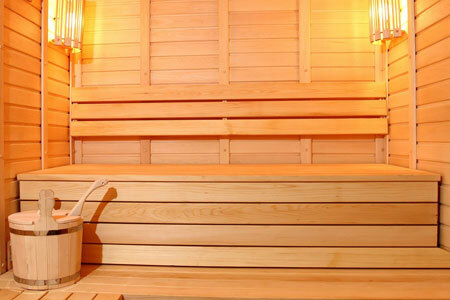 The Radiant Saunas BSA6310 Rejuvenator has earned high praise for its functional and convenient design. 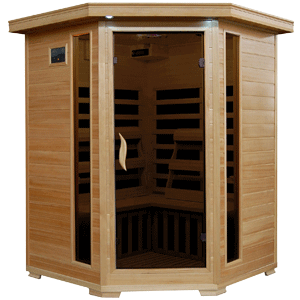 This model is constructed of durable moisture resistant satin polyester, and features energy efficient low EMF carbon fiber infrared heater panels. It has a Beech hardwood dowel frame that makes it very easy to set up and take down. 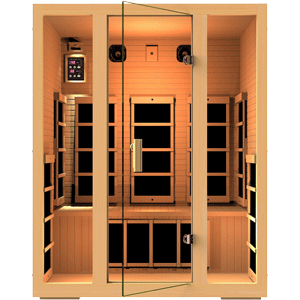 The Radiant Saunas BSA6310 Rejuvenator allows the choice of 5 levels of pre-set heat temperature options, topping out at a 150 degree maximum temperature. A hand held controller with 6 automatic timer options is another useful feature of this model. Safety was put at the front of this model’s design. To keep users safe it has a built-in thermostat as well as a built-in auto shut-off safety feature. Operation requires a power supply of 120v – 60hz – 900w. This model features a 6.5 foot long power cord, and the sauna also comes with a foldable oxford canvas fabric chair. While technically still portable, this model is not nearly as portable as other options and would not be convenient to put away/set up frequently. Because of its size and construction, the Dynamic Granada 1-Person Sauna is designed for homes that have room for it to be set up rather permanently. When constructed this model measures 30″ x 47.5″ x 30″ and weighs 125 pounds. This model is made of reforested Canadian Hemlock that efficiently retains heat. It features three oversized carbon heating panels: one on the rear wall, one on the front wall, and one on the floor board. For managing your sauna experience, this model features an LED control panel that displays the sauna temperature and timer functions. The maximum temperature is 150 degrees Fahrenheit. This sauna requires preheating before use, and the average preheat time is about 30 minutes. For more details about this sauna’s setup and use, it may be useful to see the official product manual. 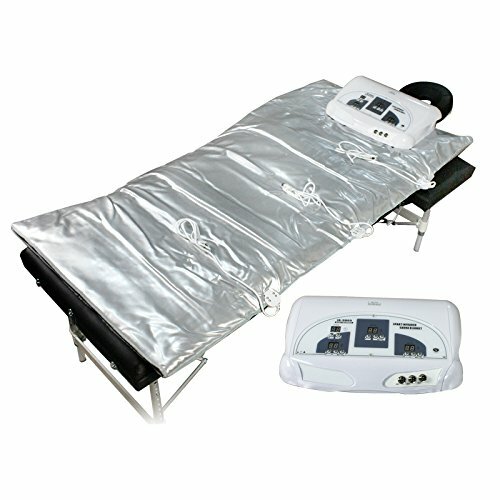 The Nova Microdermabrasion® Improved 3 Zone Fir Far Infrared Sauna Blanket provides a minimalist approach to infrared heat treatment. When not in use, this model folds down to about the size of a comforter. To use this model you just have to unroll, plug in, and zip up. The control panel for this infrared sauna blanket includes a timer and temperature adjustment between 40 and 85 degrees centigrade. Interestingly, this model features three separate zones for which you can set different times and temperatures. 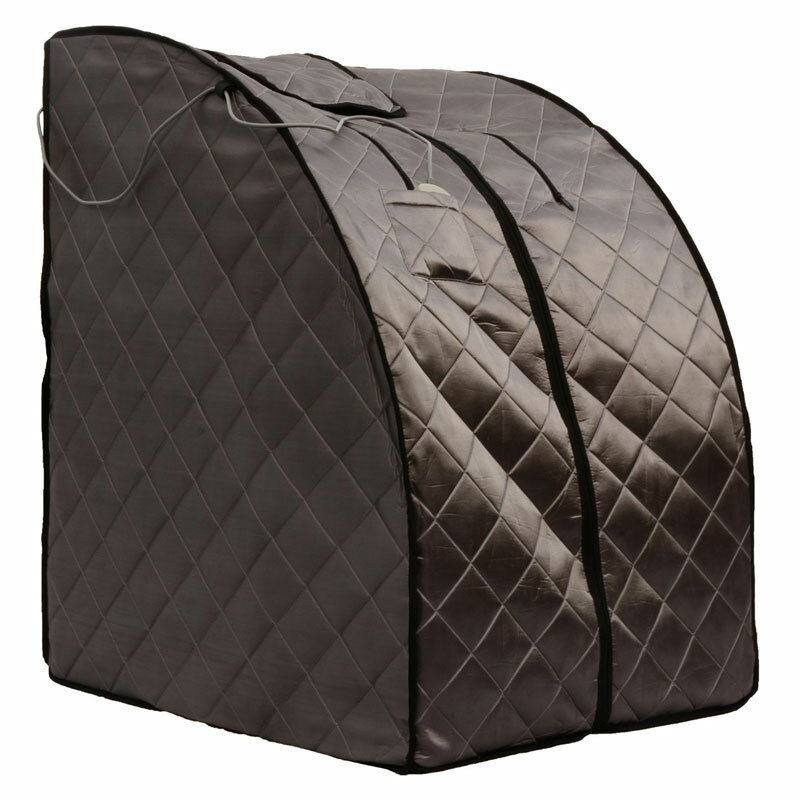 The manufacturer recommends that users wear body wrap plastic sheets while inside the sauna to avoid damaging the inside of the blanket with sweat.